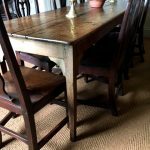 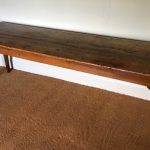 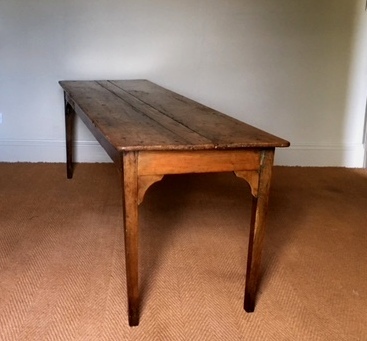 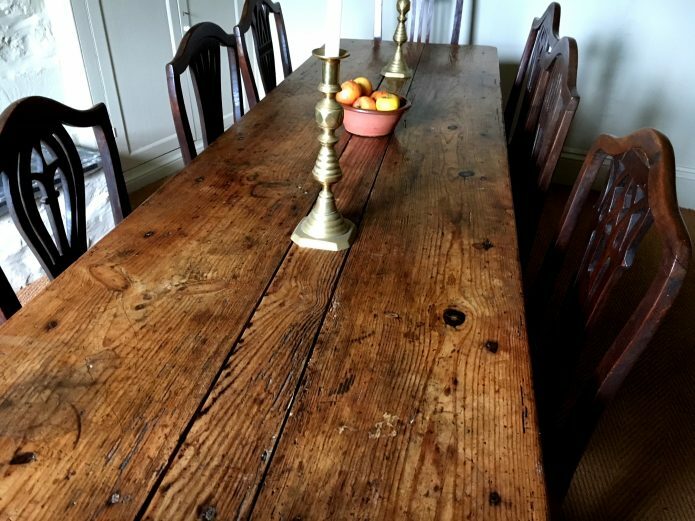 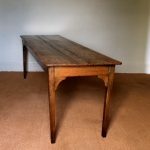 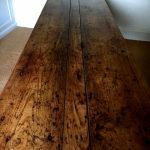 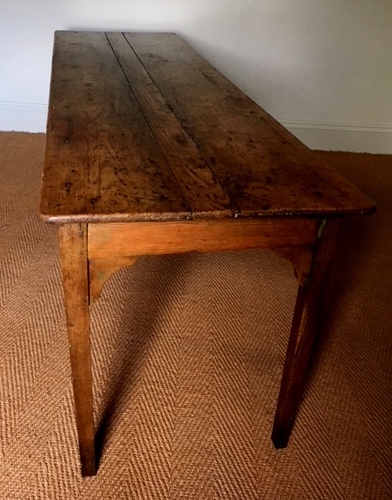 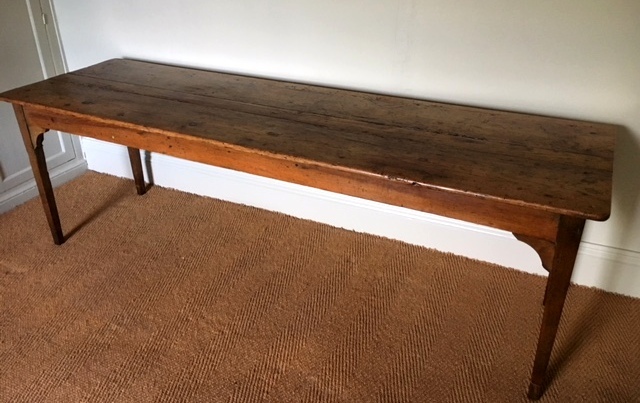 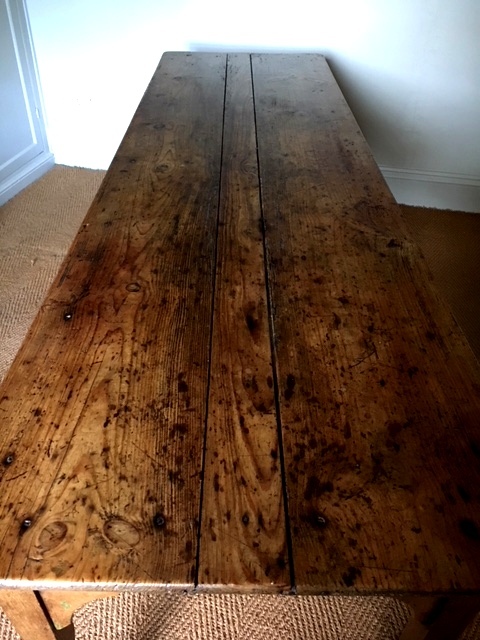 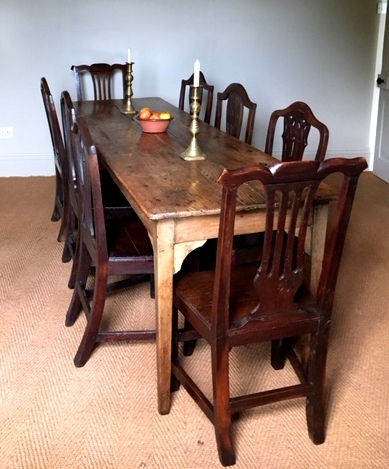 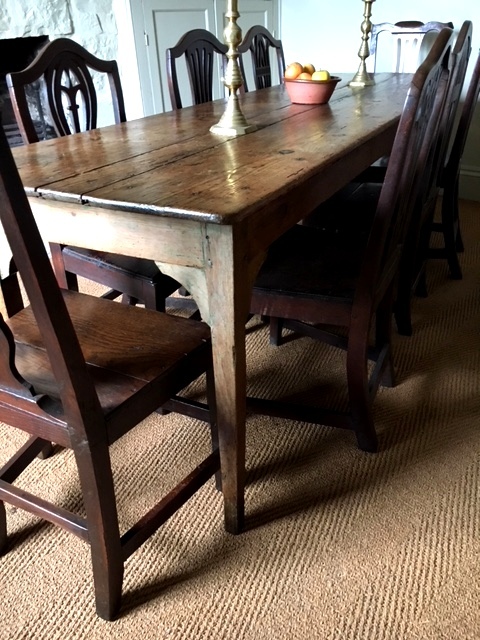 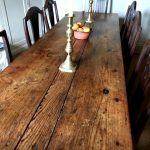 An early 19th century pine & oak farmhouse kitchen table. 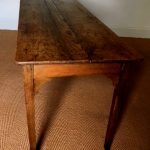 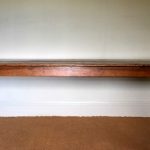 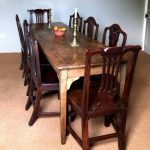 The table has a pine top which has a good patina, the base is pine with tapered oak legs. 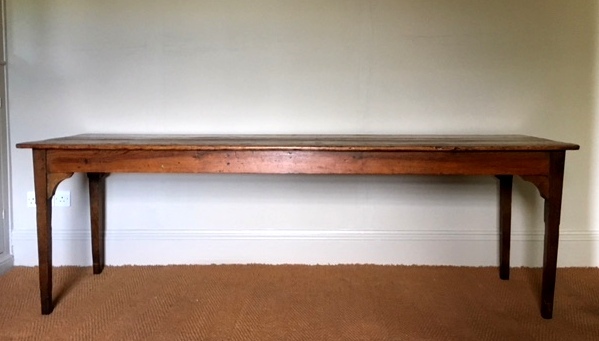 The base of the legs have been re-tipped.